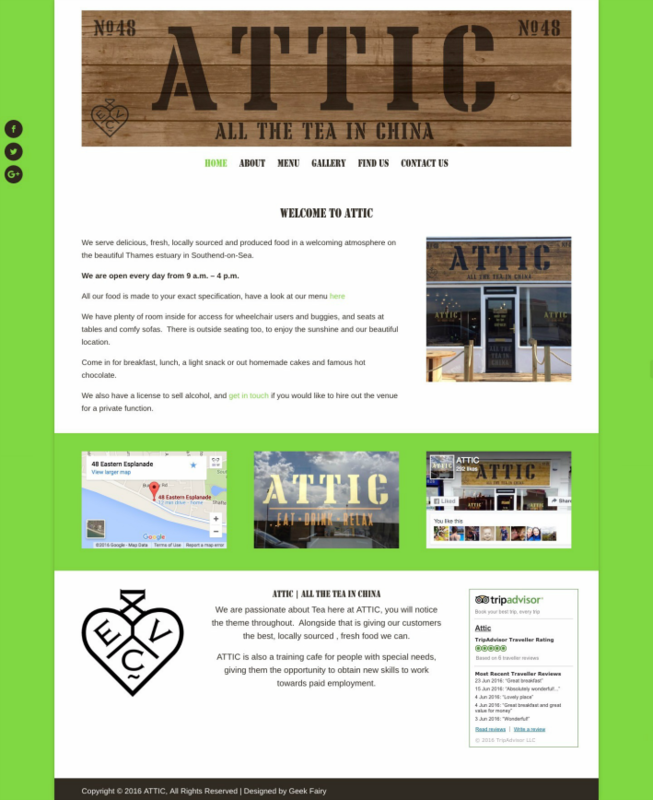 The client came to me wanting a one page website, I put together a plan to show them that with a few pages they could show what their business was about more. I used their own branding and photos and together we wrote the copy for the site. Linking to their social media and Trip Advisor pages and reviews, and showing their menu and opening times clearly. Also giving details of parking locally for customers.